According to an article in the New York Tribune, dated June 12, 1914, page 9, married (at the time) professional dancers Maurice and Florence Walton were invited to perform for a party that notably included the King and Queen of England. Ms. Walton was required to wear a dress without a slit for the occasion. Though the couple had not anticipated performing the scandalous tango, the Queen specifically requested it. The article noted that this enabled amateur dancers to dance the tango at the accompanying ball, the first time such a thing had occurred in the presence of royalty. Expresses Approval of the One-Step as Shown by American Professionals. London, June 11. – The King and Queen saw the tango as danced in New York for the first time to-night at a dinner given by the Grand Duke Michael Mikhaylovich preceding a ball for the Countess Nada Torby at the Grand Duke’s residence, Kenwood, Hampstead. The dancers, Maurice and Florence Walton, are the first Americans to appear by royal command to dance. Maurice was once a Bowery denizen and Florence was formerly a chorus girl. So the tango was danced. Florence Walton wore an unslit dress at the request of a court official. The Queen said: “What a pretty frock!” and laughed and applauded delightedly, but the King was rather austere and only smiled at the grotesque solo dance by Maurice. After sixteen figures had been done without a pause, including two invented for the occasion, the Queen demanded another one-step. “I like that figure best of all,” she said. The daners were detained so long that they were late on the Alhambra stage. 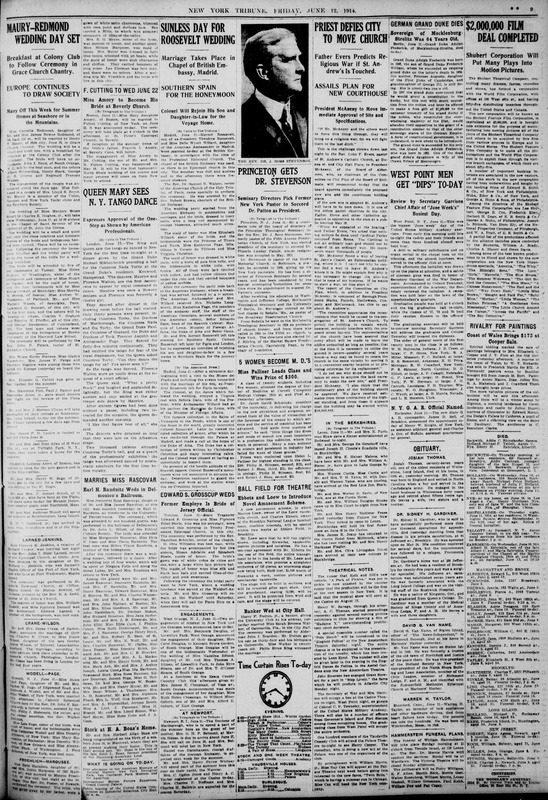 The article was reproduced from Chronicling America. The featured image for this post was made available by the Library of Congress, which believes it is subject to no known restrictions on publication. 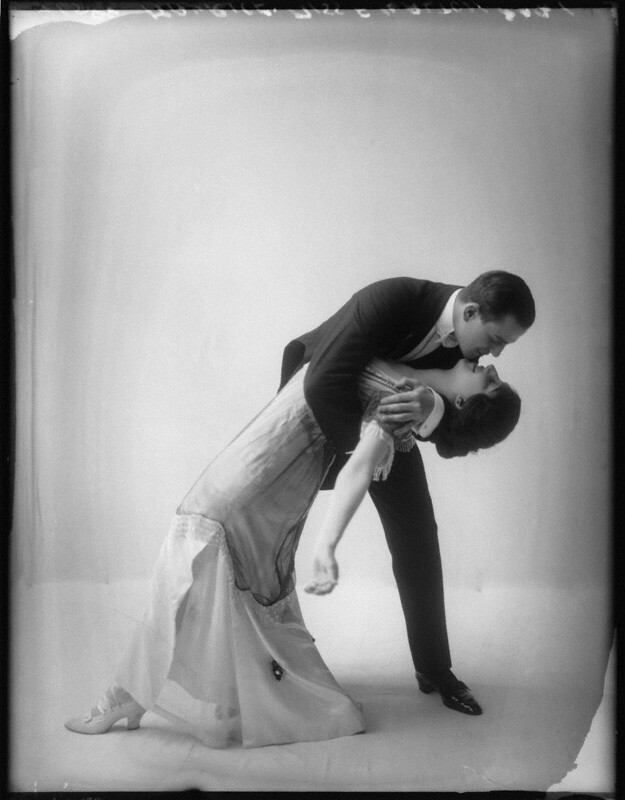 According to Goodwin’s Weekly, dated June 21, 1913, page 10, London society had been debating the morality of the tango at least since the previous season. 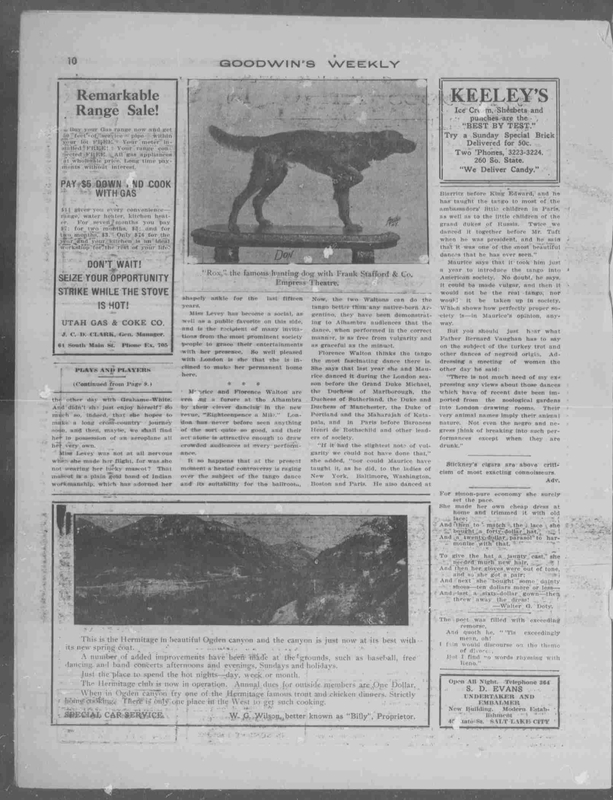 This article was provided by Chronicling America. The picture below, featuring Ms. Walton and Maurice, was provided by the National Portrait Gallery. Perhaps it’s not vulgar if you’re married.